If someone asks if you're a god, you say YES! 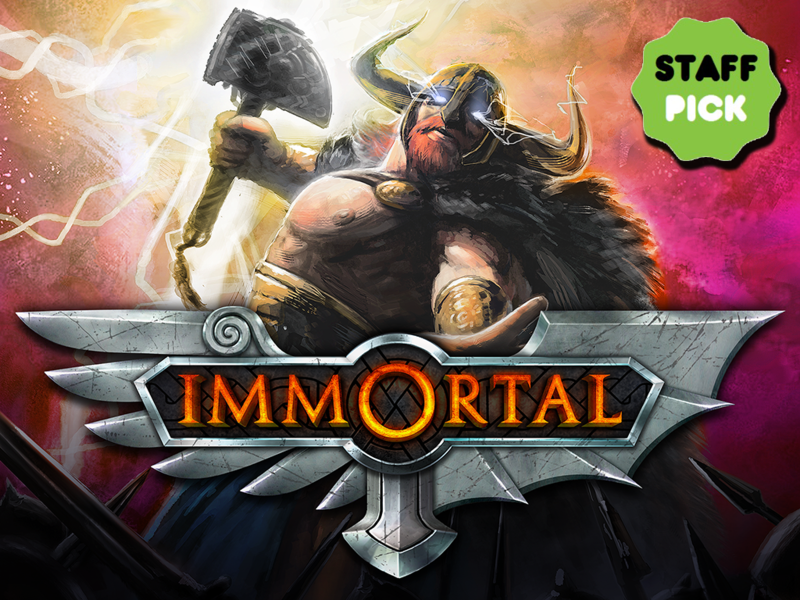 Game-O-Gami is running a Kickstarter campaign for Immortal, their new strategy card game of gods and monsters. It's an interesting mix of games. Placement of your cards is very crucial, since when you play a character, they have different stats based on how they're oriented on the field. Plus, when you attack an enemy and defeat them, they become part of your forces (sort of like Othello, where you'd flip over the other guy's tile to your color). Each card also has special abilities on their card. The abilities aren't spelled out there, though. There's just an icon. That makes it so the game can be easily translated into various languages without having to print new cards each time. There's also add-ons for special promo cards and an art book, if you're so interested. The campaign is a little more than 1/3 funded and is set to run for another 29 days.